Plus, oversea trip rewards (StarClub, 2019 is Istanbul, Turkey and Santorini, Greece), gifts reward, gadget rewards, dinner reward, cash reward and many more. Sir, I do not know wheter this is the suitable place to ask, but nonetheless I would still like to do so. I am a student about to graduate at the end of 2010. In 3 to 5 years from now, i would like to have rm25k to rm 35k stored up to help with my aging parents and also for personal uses. I am from a third class family, and I have no income, except my PTPTN allowances. My question: is it possible to gain RM25k in 3 to 5 yrs starting from now? I’m not expecting a reply, but if you do reply, you have my utmost gratitude.Thank you. I want to know how much you can save per month? Then I will proposed suitable plan with your target now. Simple calculation. 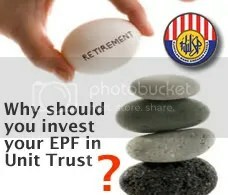 You may have more than 25K if you save RM100 per month starting this Jan 2010.
if more than age 55 year. how to charges the rate? can u email me about the medical card coverage..
Hi Sir, you done things well. Because internet is powerful method to to promotion…..! You are clever! 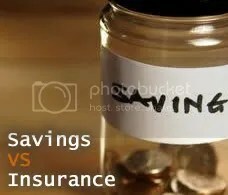 im a newly worker in one of investment bank…but im looking a way to sell insurance as my part time income n considering prudential-bsn as a choices.. I hear that prudential will provide basic salary of RM1500/mth for those newly join agent who reach 22k sales within the first 6 mths.. is this true, can you tell me more in details about these? berminat nak tau lebih mendalam berkenaan kerjaya bersama Prudential ni. 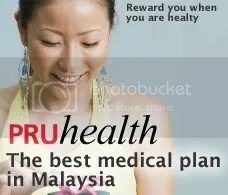 Would like to join u as a Pru Wealth Planner. Believe that I have all the qualifications you stated, just that I’m a bit older….I’m 36 yrs old. 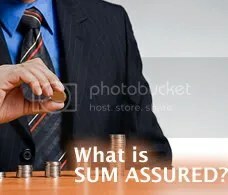 What is the cost incurred to be an agent? What the number represent sir? What advice would you give for a teenager who is seeking into business world. My hubby is a malaysian. I am a Singaporean who is interested to be an agent in Malaysia. Is it possible? I’m staying in Klang. I’m interested to join as part-time agent. Any nearby Klang office? i would like to ask about retirement fund..
I’m in the middle of thinking of becoming an insurance or unit trust agent as a part time basis. May I know when is your introduction seminar / talk as an agent? I would like to learn more about it before deciding on which company I may represent. 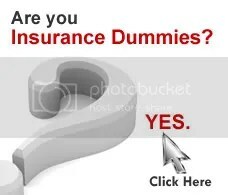 I am interested to becoming an insurance agent as my part time job but i have no experience in this field, could you give me a little bit explanation on how to do for my new step. Kindly I need you help. SMS me your phone number. sy minat nk join secara part time..
cuma sy pernah bekerja dengan maybank selama 2 tahun di bahagian credit department..
Saya berminat nak tahu bagaimana nak jadi agent? Sila contact saya dan email more info. En. Farid…cud you sms me ur contact number? Hi there good afternoon, i am currently working as a pilot and would like to inquire if it possible in being a part time insurance agent. can u please get back to me as soon as possible. saya berminat nak joint as part time and may be full time. saya ada dip in psychology shj. skrg working as military . now at kl and will be tranfer to kedah. at sg ptani ada prudential bsn takaful. should i go there? it’s prudential and prudential bsn takaful sama? salam en. muhamad….boleh sms me ur number and details to 0172538179? i berminat nak menjadi agent prudential. boleh tak u advice me sedikit bagaimana and apa yang akan ditanya dalam exam nanti? salam nanie…please do sms me ur contact number to 0122234676.
what do you need to register exam is ur photocopy ic and ur spm/stpm/diploma/degree/masters/phd cert copy. Salam,En.Amirol sy minat nak jadi agen,Boleh terangkan macam untuk bermula.Terima kasih. Siti…ituari kata nak datang..tried to call u many times..xnak jadi agen lagi eh? Hi m one of prudential saving n protection card holder. Interested to be a part time agent but m frm sarawak. Yes you can helena…can i get your telephone number so that I can further explain to you regarding on how to be an agent? Mr. Adam…can you send to me your hp number so that I can further advise to you regarding the matter…? apakah soklan lazim yang slalu kluar dalam exam nanti?